Wish you could be free from persistent headaches? You may have TMD, but no need to worry, we can help! The temporomandibular joints, called TMJ, are the joints and jaw muscles located on each side of your head that make it possible to open and close your mouth and control the lower jaw as it moves forward, backward and side to side. They include muscles and ligaments as well as the jaw bone which work together when you chew, swallow or speak. 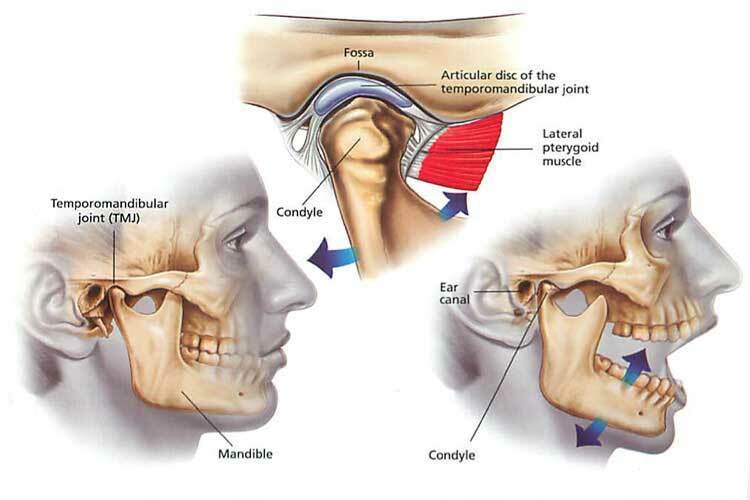 Each TMJ has a disc between the ball and socket. The disc pads the load while allowing the jaw to open widely and pivot or slide. Any issue that hinders this complex system of muscles, ligaments, discs and bones from working correctly may result in a painful TMJ disorder. Diagnosis is a crucial step before treatment. Part of our thorough dental examination includes checking the joints and muscles for tenderness, clicking, popping or trouble moving. We can effectively treat TMD. We have the training, experience, knowledge and equipment to productively overcome TMD. We find this very rewarding as our simple yet effective treatment changes peoples’ lives.